Last updated by admin at January 4, 2018 . There is a long-held belief among dental consultants that we must never give prices over the phone when a patient asks. Instead, we’ve created an elaborate way of not answering the question, and trying to get the patient in. 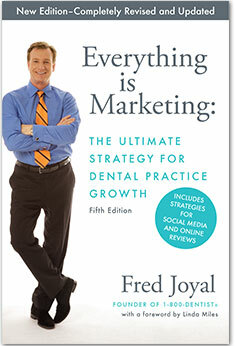 I know, because in my first book, Everything is Marketing, I gave exactly that same advice. Well, times are changing. People are very used to being able to find the price, and the cheapest price, for almost anything. Right there in their hand is a smartphone that can find the cheapest TV, car, dinner or hotel. What’s a patient to do? Especially since the whole dental insurance coverage issue is just as confusing to them, and hard for them to understand that it’s not health insurance at all, but some variation of a discount plan on basic care. I still believe that when a patient is asking what a crown costs, they are really asking if they can trust you not to overcharge them, since they can’t come in and start pulling charts to figure out if you’re a good clinician or not. (Even if they knew what to look for, HIPPA wouldn’t allow it!) So they don’t know what else to ask, so they ask for prices. And many front desk team members will just give up the cost right away, without establishing any value or clarifying that costs depend on diagnosis. And that’s not good either. Now, some patients live on a very tight budget. Quite a few of them, actually. So cost is a huge factor when it comes to dentistry and accepting treatment. I don’t really have to tell you that. And not everyone values dentistry the same way that you and I do. Some people just want to be able to chew or get out of pain. And I also understand that most of you don’t want patients who are looking for the cheapest dentist. You don’t want to be that, and you don’t want people to expect that. But somehow, you’ve got to still get them to come into the practice and find out what a remarkable experience you give them, so that they start to believe you are worth the cost. There is no simple answer here, but a large part of the solution is to have someone very skilled working at your reception, who knows how to listen, how to empathize, and how to effectively create a great first impression of the practice, and persuade someone to come in to experience it for themselves. And then it comes down to the words. In many cases, rather than being totally evasive, you can give a range of what something would cost, depending on their individual condition. And it’s still critical to explain to people that it’s impossible to diagnose over the phone. But a root canal is a root canal, and 9 times out of 10 you are going to charge exactly the same amount each time you do it. So they know you’re being evasive when you don’t just tell them, and that doesn’t build trust. In short, your front desk person has to be comfortable talking about cost, while making sure to build value over the phone, and inviting the patient to come in and see for themselves. If she is confident that she is working for a dentist who does high quality work in a comfortable environment at a reasonable price, then she is going to project that over the phone, and the patient will sense it. And then, talk about the range of what a treatment would cost, and also make clear that an initial exam is free or a very low cost. Of course, you won’t get everyone in. That’s the reality. And not every patient is a good fit for the practice. But you can improve your odds. And I’ve become convinced that we need to not only get comfortable talking about fees over the phone, but we need to get good at it. I’m going to dive much deeper into this whole question of maximizing the front desk results in my next webinar, with special guest Laura Hatch, who has helped create the front desk environment that built two multi-million dollar practices, and who know teaches those skills in her fantastic video course, Front Office Rocks. The webinar is Friday, January 12th at 11am Pacific time. You can register by clicking here, and even if you can’t make it, as long as you register you’ll be sent a recording of the webinar. It’s going to be extremely valuable for anyone building a practice, so don’t miss this one!